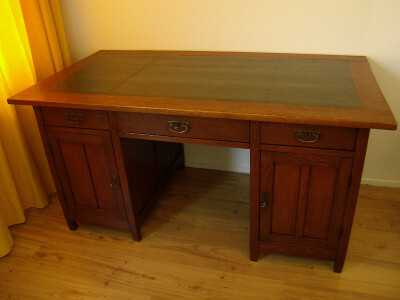 For restoration or repair of wooden interior objects such as cabinets, tables, chairs, desks, etc. you are welcome to contact Atelier 1312. The name “Atelier 1312” comes from a unit number of my former studio which was located in Brabant. For several years I work with great pleasure for a growing group of satisfied clients. 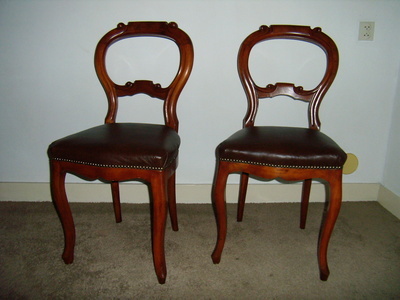 Each restoration studio is free to have an opinion on the way antique furniture should be treated. For me restoration means: Searching for- and realising a solution in the combination of functionality, usability and the history of the furniture. In other words; if a piece of furniture needs attention, my first question will always be; what happened before and what can we expect after the restoration. This can lead to replacing broken or lost parts, renewal of the construction or a specific treatment of the wooden surface. 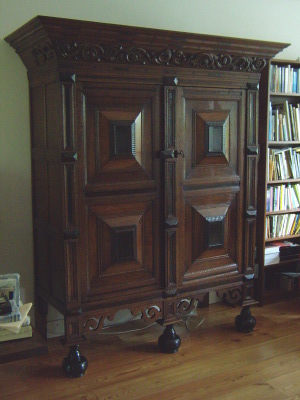 Other possibilities are a proper functioning of the moving parts of the furniture, like doors and/or drawers. In short; restoration is not always necessarily making new. But can also mean, making better, nicer or adapted to everyday use. The client gets an advise, depending on her/ his wishes and on the possibilities in the process of restoration. In the general approach of my work I am specialised in specific subtle technics such as intarsia, veneer applications, woodturning, waxing, etc. I prefer to work with oak, mahogany, and wood from fruit-trees. I studied for 4 years at the Hout- en Meubilerings College, Rotterdam. Here I got my finals in 1997. 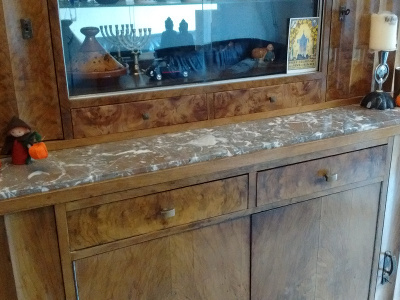 After this period of technical training I specialised by working with and for qualified furniture restorers. 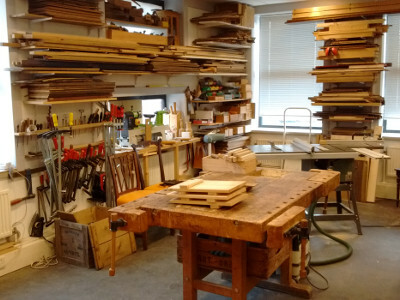 With the experience of more refined skills and a lot of enthusiasm, I started my own studio in 2002. Initially in s’Hertogenbosch and since 2009 in the Binckhorst in The Hague. 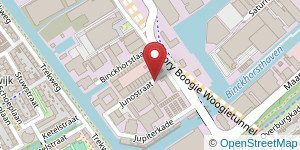 Address: Junostraat 6a, 2516 BR, The Hague. Registration number Chamber of Commerce: 17144961.